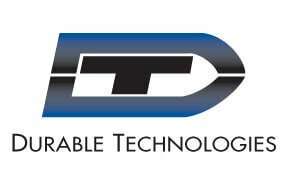 Durable Technologies has the right solution for your marking requirement. Whether you need a low cost, quick, manual mark, all the way up to a permanent laser marked logo graphic, Durable is your industial marking equipment solution provider. Our experience and expertise in developing the right marking answer to our customer’s specific marking application is what makes Durable Technologies different. We have a full range of marking tools and marking equipment so our marking experts can work directly with your team to develop the right strategy so you can make your best mark. Each industry is unique and every company within that industry has its own unique challenges, but there are many common things that apply across industries and companies: material marked, equipment used, mark type required, cycle time requirements, volume of parts being marked, manual versus automated marking, budget...these are just a few of the questions everyone wanting to direct part mark an item needs to consider. Durable Technologies has the experience with many different industries, marking just about any material you can imagine, meeting all of the unique marking requirements customers need, with one thing in common - Durable helps customers make their best mark. Click on any of the links to the right for more information on our most popular Industries served. You can also contact us now to speak with someone in Sales.